1. L. R. Vaidya's edition, Bombay, 1887. 2. S. M. Paranjape’s edition, Poona, 1895. 3. Sesadri edition, Bombay (no date given). 4. 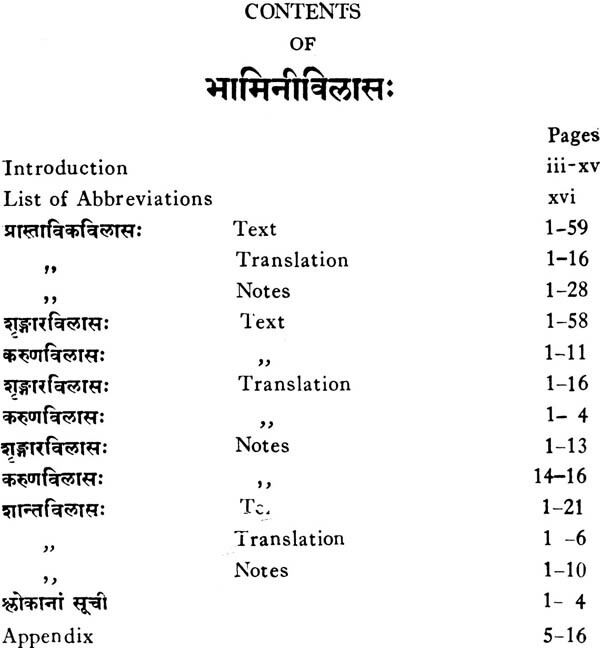 Bal's edition with Mahadeva Suri's Gloss, Bombay, 1895. 5. 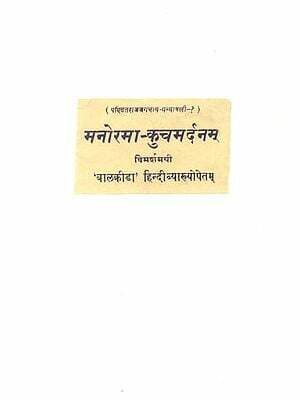 Nisnayasagara edition with Acyutaraya's commentary, Bombay, 1933. 6. Nirnayasagara edition of Rasagangadhara, Bombay, 1916. Before fixing any reading, I have taken into consideration the readings of these editions as well as those which are given in their foot-notes. In the Notes appended at the end of the book the various readings and their propriety or otherwise have been fully discussed. 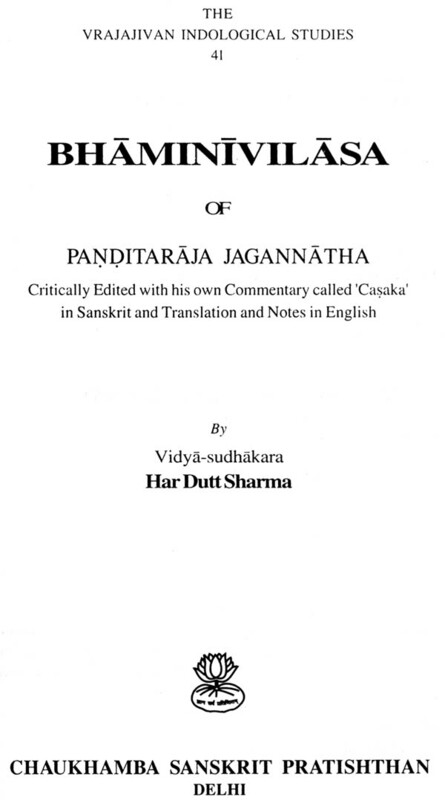 In spite of the fact that the author Jagannatha Panditaraja flourished as late as about the 17th century A.D., we have no historical account or authentic tradition on which we can base his life. A considerable mass of traditions has sprung round him and it is well nigh impossible in the present state of our knowledge to differentiate fact from fiction. Some of these traditions are given below. 1. Jagannatha came from Tailanga country and started a school at Jaipur. Once upon a time a Kazi came to jaipur and challenged the pandits of the place to a debate. None could meet his challenge, but Jagannatha studied the muslim religious books and defeated the Kazi on his own ground. The Emperor of Delhi hearing of our poet's fame invited him to Delhi and granted him his patronage. The poet there fell in love with a muslim girl whom he married and spent his youth at the Moghul capital. In his old age he went to Benares but he was excommunicated by pandits like Appayadiksita on the ground that he was contaminated by the contact of a muslim woman. Being very much distressed at if jagannatha went to the Ganges and seated on the Ghat stairs began to sing the praise of Ganga in extempore verses. These verses are known by the name of Gangalahari. The mother Ganga was very much pleased by his devotion and began to rise one step at the end of each verse. After the 52nd verse the river took the poet and his muslim wife in her lap and carried away both of them in her current. 2. When jagannatha lived under the patronage of Akbar, Emperor of Delhi, he married a muslim girl named Lavangi. After some time the wife died"and jagannatha in his sorrow for her, went to live at Benares. But he was insulted by the pandits of Benares; at this the poet went to the, river Ganges and after having praised Ganga by means of his Gangalahari leaped into its rain-swollen current. "Either the Lord of Delhi or the Lord of the Universe can fulfil (my) desires. Favours granted by other kings can only suffice for vegetables or salt." "Roam till the land of Kurus (in the North) and do not doubt your success in debates with your opponents; but, my child, accept one boon from me and explain the Sastras." 5. Haridiksita, the teacher of the celebrated Nagesabhatta, went to Delhi and challenged Jagannatha , The poet feared him and his superior scholarship. He tied a charm round his arm and next day defeated the opponent Haridiksita , The great grammarian was very much vexed and disappointed and on returning home he resolved either to destroy himself or vanquish Jagannatha. Through the help of some divinity he defeated Jagannatha next day.